A week ago, we were privileged to be invited to see theTitans of the Ice Age at Glorietta 5. The children has been wanting to watch the Ice Age Collision Course but failed to do so due to busy schedule. So this one is somewhat a unique experience for them because they will get to see the Titans from the movie in action. The mini tour is scheduled every hour and you will be greeted by the Australian and local tour guide at the entrance. 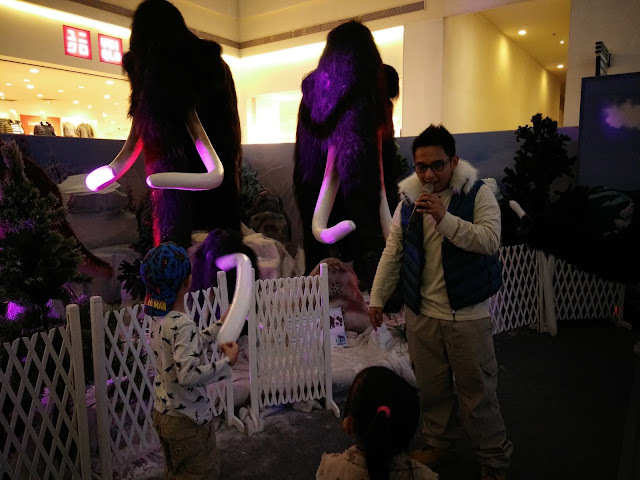 It was only me and the kids who went and their eyes were shocked by the ginormous animal display from the Ice Age. 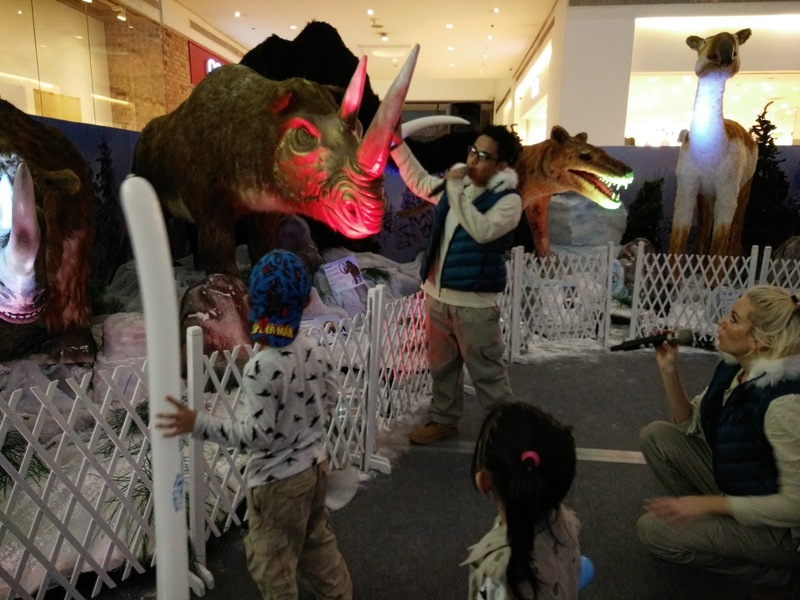 Kids experienced what was it like back from the ice age million years ago with matching snow! 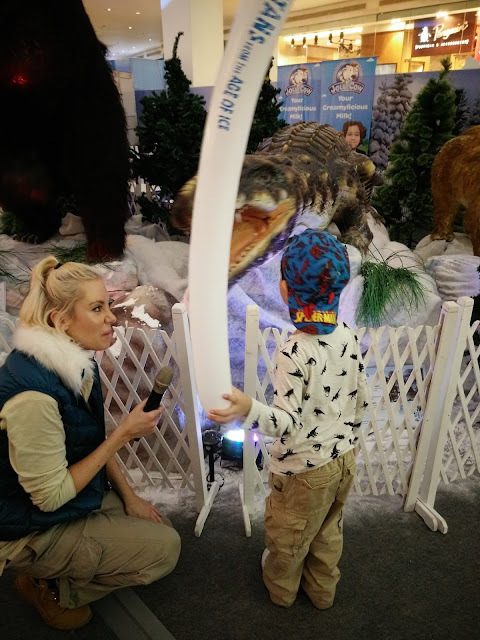 The main attraction was the Mammoth family and Saber toothed Tiger and the kids get to see the different animals from Ice Age. 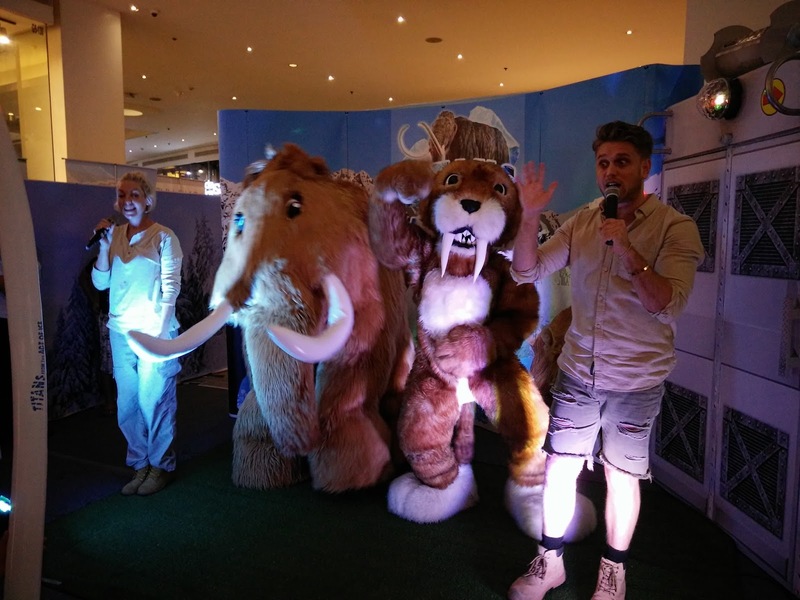 After the mini-tour, we get to enjoy the mini-concert starring Sabe the saber-toothed Tiger and Maurice the Mammoth. 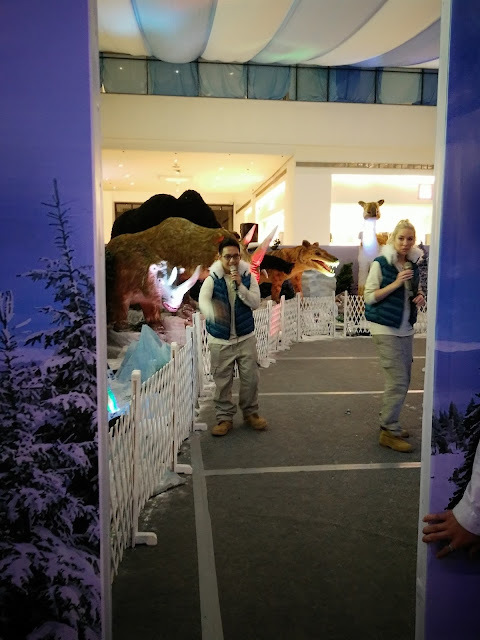 The show depicts the preservation of animals and the importance of each in the ecosystem. 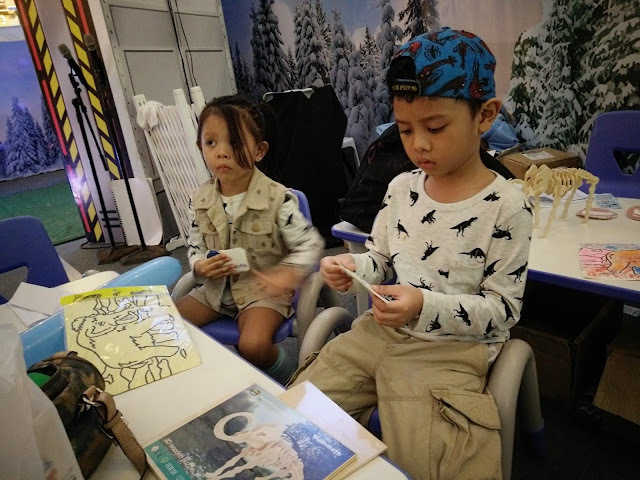 Shortly after the concert, the kids were rewarded with art materials and my kids got themselves a mammoth puzzle and won themselves prizes from Glorietta. 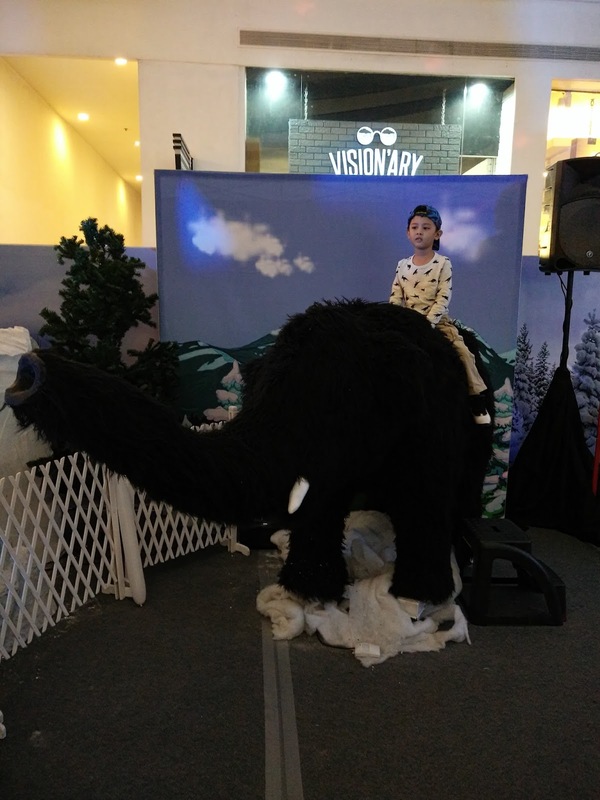 To experience what it is back in Ice Age and see the Titans live in action catch them at Trinoma until October 9, 2016. You may purchase tickets at their booth. 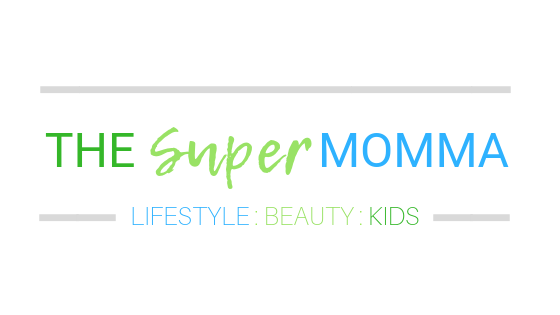 Enjoy them with the family!